Fable Casino is licensed by the UK Gambling Commission and the Malta Gaming Authority and offers 24/7 live chat and e-mail plus a very thorough FAQs section. A fable is defined as a myth or a legend, and though Fable Casino can’t quite be described as a legendary casino just yet, it does offer an excellent experience for players – especially those on tablet and mobile. The homepage on desktop isn’t the best page you’ll ever land on, but all the information you’d want to find is accessible from the menu at the top of the page, and once you get into the game lobby you’re treated to some lovely and sleek game filters which makes finding the game you want to play so easy. 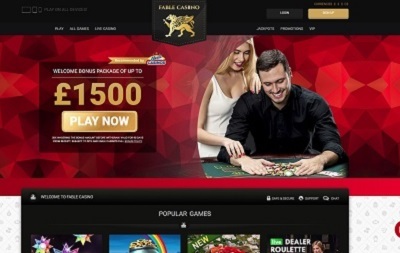 Fable Casino offers most of the popular methods out there including Visa, Mastercard, Maestro, Pay By Phone, Neteller, Skrill, iDEAL, SOFORT, GIROPAY, PaySafeCard, Trustly, QIWI, FasWebMoney, Fast BankTransfer and Euteller. The minimum deposit is £10 and the maximum deposit is £5,000. The minimum withdrawal is £30 and the maximum withdrawal is £3,000 per week. 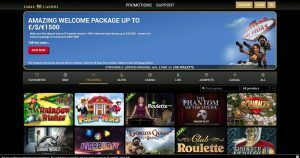 Fable Casino has a wide selection when it comes to games, with over 500 on offer. 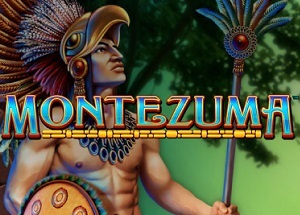 The choice is amongst the best out there with your classic slot titles like Starburst, Rainbow Riches and Gonzo’s Quest plus progressive titles like Divine Fortune, Treasure Nile and Fruit Fiesta. 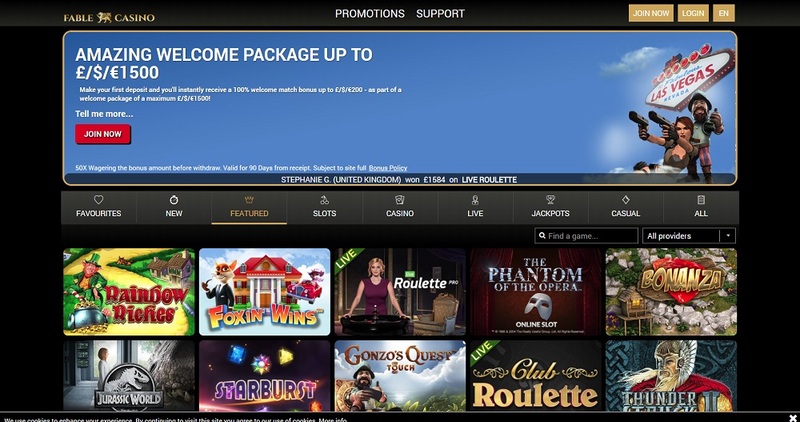 One complaint about the progressive slot games is that you can only see the current jackpot once you click through to the game, which is a bit annoying if you’re looking to find the game that’s going to give you the biggest win. 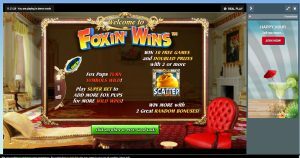 But if you’re not a fan of your slots, there’s plenty of your classic casino games on Fable Casino, plus live dealers on baccarat, blackjack, roulette, and variants thereof. 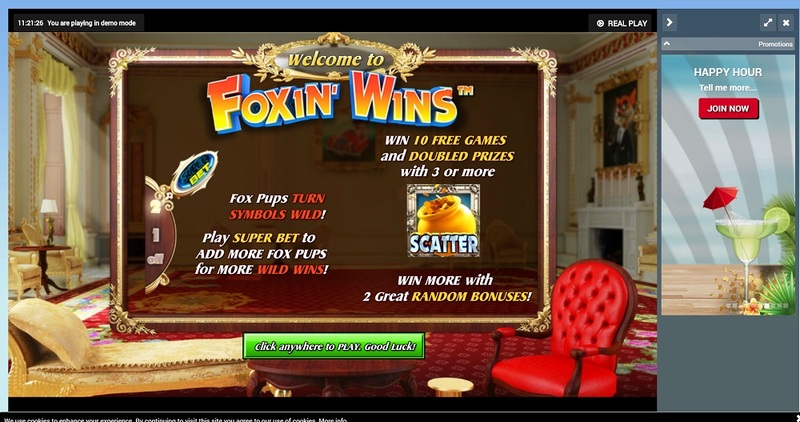 There’s also a host of instant-win games which are so fun to play. Fable Casino arrived in 2017, and though it’s one of the freshest casinos currently online, it has already developed a reputation of being one of the best casinos out there for mobile and tablet users. 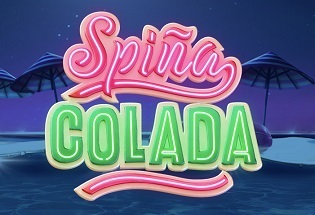 There is an excellent selection of games with all the best quality titles out there, and the filters to find the games are excellent, plus the buttons to glide around the casino are beautiful. There’s also a mammoth welcome bonus, a wide array of payment methods, and 24/7 customer service. 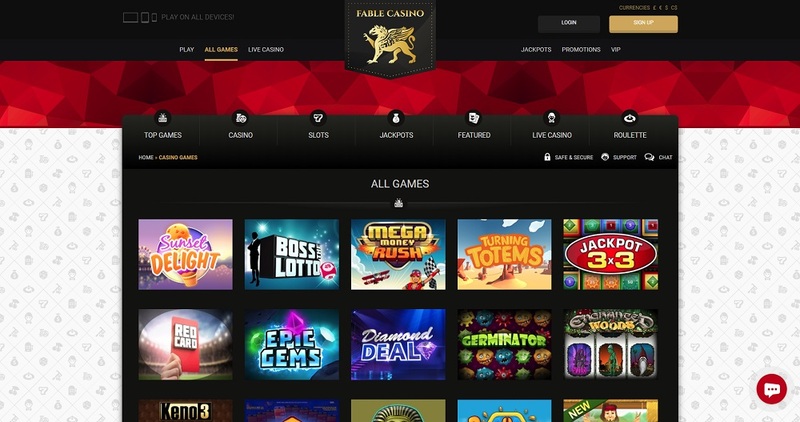 Fable Casino may just become legendary.